WASHINGTON (AP) - Donald Trump's nomination of Betsy DeVos as education secretary could be in trouble. Two Republican senators - Susan Collins of Maine and Lisa Murkowski of Alaska - announced their opposition to DeVos in speeches on the Senate floor Wednesday. If she loses one more Republican - and all Democrats vote against her - the nomination dies. Both Collins and Murkowski said they appreciate DeVos' commitment to children and learning, but that her lack of experience in the nation's public schools is a deep concern. "Mrs. DeVos is the product of her experience," Collins said. "She appears to view education through the lens of her experience promoting alternatives to public education in Detroit and other cities." Murkowski said she believed DeVos, a billionaire Republican donor and school choice activist, has much to learn about public education. 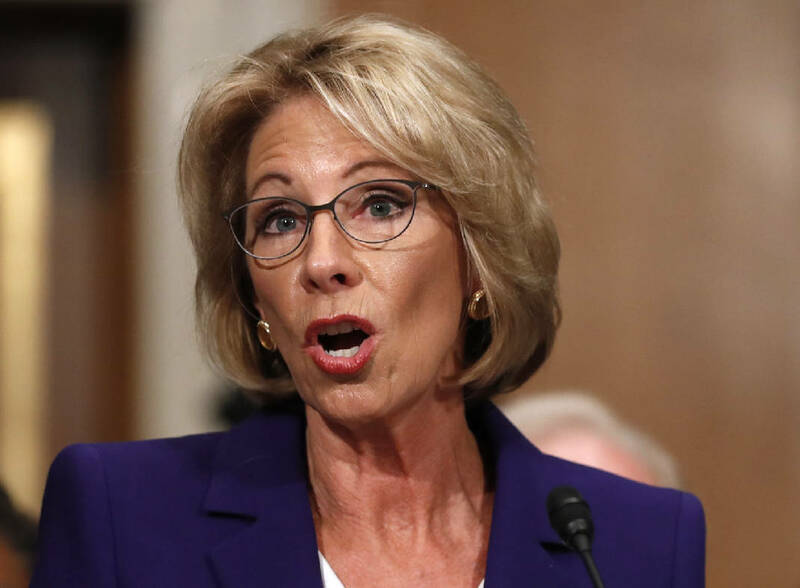 "I have serious concerns about a nominee to be secretary of education who has been so involved on one side of the equation, so immersed in the push for vouchers that she may be unaware of what actually is successful within the public schools and also what is broken and how to fix them." White House press secretary Sean Spicer said he wasn't concerned about the GOP defections. "I have 100 percent confidence she will be the next secretary of education. She is an unbelievably qualified educator and advocate for students, teachers, parents," he said after Collins and Murkowski spoke. Associated Press writers Erica Werner, Jennifer C. Kerr and Darlene Superville contributed to this report.